My newest research paper, "Absolute Momentum: A Simple Rule- Based Strategy and Universal Trend-Following Overlay," is now available. In it I show how to use absolute momentum to add value to single asset investments or a 60-40 portfolio by reducing expected volatility and drawdown. 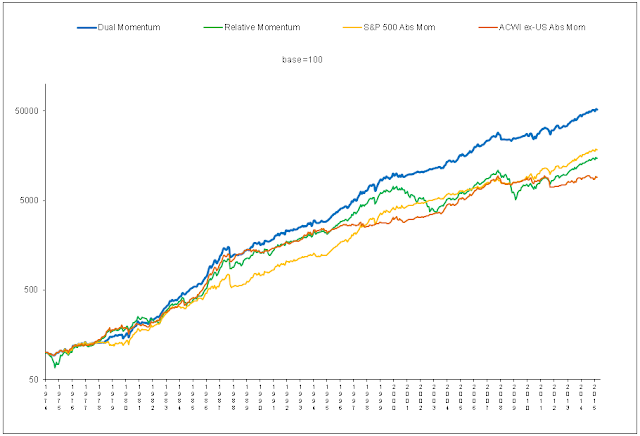 I also show how to construct a simple momentum-based parity type portfolio without many of the drawbacks associated with traditional risk parity programs. 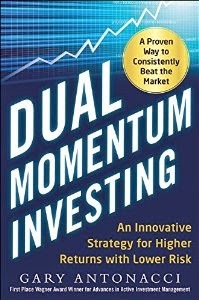 There are other potential uses for absolute momentum, such as the foundation for a core portfolio or as a risk overlay for most any portfolio. Absolute momentum is easy to understand and simple to implement.